These are the finalist nominees for the 2014 JJA Jazz Awards. Nominees in most categories were chosen by the votes of the Professional Journalist Members of the Jazz Journalists Association. Nominations were made on the basis of work done in calendar year 2013, with the exception of Lifetime Achievement Awards categories, in which nominations are for a lifetime body of work. Members and others were able to submit their own work for consideration in the Photo of the Year and Best Shortform Video of the Year categories; committees of JJA Members chose the nominees in those categories from among the submissions. 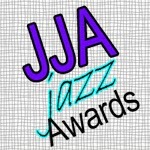 Winners of the 2014 JJA Jazz Awards in all categories will be determined by the votes of JJA Professional Journalist Members; winners in musical categories will be announced here on jjajazzawards.org on April 15. Winners in media categories will be announced at the JJA Media Awards party, a ticketed event, on June 11 in New York City at the Blue Note Jazz Club. GET A 2014 NOMINEE BADGE for your website or blog. Winners in the following journalism and media categories will be announced on June 11 at a reception at the Blue Note Jazz Club in New York City. Marc Myers writes the daily blog JazzWax, which he started in August 2007 and which won the 2012 JJA Award for Blog of the Year -- it is syndicated by Toronto's radio station JazzFM.91. His book Why Jazz Happened was published in 2013, and he has been writing about jazz as well as other music and the arts for the Wall Street Journal since 2010. He's written liner notes for a dozen jazz recordings, and conducted many celebrity interviews, with Dave Brubeck, B.B. King and Fats Domino, among others. Having studied journalism as an undergraduate at Northeastern University (and history as a graduate student at Columbia University), Marc began his professional journalistic career as an intern at the New York Times in the late 1970s, joining the paper full-time in 1980 in the sports department. He has held editorial positions at Adweek, Working Woman magazine, Bottom Line/ Personal. His other books are How to Make Luck: 7 Secrets Lucky People Use to Succeed; Affluent for Life(ghost written for Ted Ridlehuber), and Ernst & Young's Profit from the New Tax Law. Ted Panken writes about jazz and creative music for various publications, including DownBeat, Jazziz and Jazz Times. He has written more than 500 liner notes as well as program notes for Jazz at Lincoln Center concerts, and had contributed significantly to the jazz.com 'zine, for which he functioned as an editor and writer. From 1985 until 2008, Ted was program host on WKCR-FM in New York City, where he broadcast and documented the changing scene as it evolved in the jazz capital, conducting hundreds of extensive live-in-studio interviews with musicians ranging from Sonny Rollins to John Zorn, Roy Haynes to Anthony Braxton, Ahmad Jamal to Muhal Richard Abrams. Some of Ted's older work and transcriptions of his interviews are posted on his blog Today Is The Question. Terry Teachout is the author of Duke: A Life of Duke Ellington and Pops: A Life of Louis Armstrong, as well as the one-man/two-character play Satchmo at the Waldorf. He worked as a jazz bassist while living in Kansas City from 1975 to 1983, also writing about jazz and classical music for the Kansas City Star. Living in New York City since 1985, he has been an editor at Harper's Magazine, editorial writer and classical music and dance critic for the New York Daily News, and is the theater critic of the Wall Street Journal. He's annotated recordings by Louis Armstrong, Gene Krupa, Oscar Paterson, Karrin Allyson, Gene Bertoncini, Ruby Braff and Ellis Larkins, Roger Kellaway, Diana Krall, Joe Mooney, Marian McPartland, Maria Schneider, Kendra Shank and Luciana Souza, the Lascivious Biddies, and others in jazz as well as classical ensembles and the bluegrass band Nickel Creek, and contributed toThe Oxford Companion to Jazz. Terry has written libretti for three operas and other theater works not about jazz; his non-jazz books include The Skeptic: A Life of H.L. Mencken, and City Limits: Memories of a Small-Town. He is the editor of Beyond the Boom: New Voices on American Life, Culture, and Politics and Ghosts on the Roof: Selected Journalism of Whittaker Chambers, 1931-1959. W. Royal Stokes has been observing the jazz, blues, and popular music worlds since the early 1940s. He is author of The Jazz Scene: An Informal History from New Orleans to 1990, Swing Era New York: The Jazz Photographs of Charles Peterson, Living the Jazz Life: Conversations with Forty Musicians about Their Careers in Jazz, and Growing Up With Jazz: Twenty-Four Musicians Talk About Their Lives and Careers. He has been a contributor to JazzTimes, Jazz Notes, Down Beat, Mississippi Rag, Jazz Line, Jazzhouse.org, JJA News, Unicorn Times, Civilization, Washington Times, Ms, Washington Post, Washington City Paper, Jazz Ambassador Magazine, Planet Jazz, Forecast and Washington Review. He was formerly editor of the JJA's Jazz Notes and of JazzTimes, jazz critic of the Washington Post, book review editor of Jazz Line, host on WGTB-FM and WPFW-FM of "I Thought I Heard Buddy Bolden Say. . . " and "Since Minton's", Program Director of WGTB-FM, and a script writer for NPR's 1970s "Jazz Live!" During the 1970s and '80s Royal taught jazz appreciation courses at the Smithsonian, YWCA, Mt. Vernon College, the National Parks Service, University of Virginia (Arlington), and George Washington University. Royal is a founding member of the JJA. Dee Dee Bridgewater, best known as a jazz singer (winning the JJA's Award for Female Singer of the Year in 2010) and most recently star of Lady Day:The Billie Holiday Music, an Off-Broadway production, is the host of JazzSet, produced by Becca Pulliam and presented by WBGO (Newark) for National Public Radio. Rusty Hassan is a veteran radio program host based in Washington, D.C. He began his work in non-profit radio at a college junior at Georgetown University's WGTB in 1966, moved on to WDCU, and has broadcast for the past 18 years from WPFW. He has also been an adjunct faculty member teaching jazz history at Georgetown and American University. Rusty became interested in jazz through Top 40 radio stations while growing up in Greenwich CT in the 1950s. He was swept away by the album Benny Goodman at Carnegie Hall when in seventh grade, and soon after Bird 'n' Diz, from their Carnegie Hall concert. As a teenager he attended the Newport Jazz Festival and after enrolling in Georgetown, performances in D.C. clubs such as Bohemian Caverns. He has interviewed many artists, including Art Blakey, Dexter Gordon, Sun Ra on his shows, which he programs live, improvisationally mixing classic jazz with newly issued music, and he pioneered the strategy of playing consecutively diverse renditions of the same song, vocals amid instrumental versions. Josh Jackson, winner of the JJA's Willis Conover-Marian McPartland Award for Excellence in Broadcasting in 2010 and 2012, was named WBGO's Vice President for Content in August 2013. Previously his title was Special Projects Producer/Host of The Checkout, an hour-long music magazine also available as a podcast. He's been heard on Live at the Village Vanguard, and has hosted The Checkout: Live at 92Y Tribeca and The Checkout: Live at Berklee in partnership with NPR Music, streaming live audio and video, including interactive chats with fans, on the web. Josh began his radio career at WWOZ in New Orleans, worked as a production assistant at American Routes, and moved to New York to become the associate producer of Jazz From Lincoln Center with Ed Bradley, prior to joining WBGO in 2001. He is also a partner in the multi-media, multi-platform production company Joyride Media, and has served as Master of Ceremonies of the JJA Jazz Awards parties in New York since 2011. Click photo to view full size and see full caption. This year, because we received so many good, creative entries, and to encourage the future production of quality Shortform Jazz News Videos, the JJA is listing these additional videos submitted for consideration in this category as worthy of "Honorable Mention." They will not be listed on the nominees ballot, but we hope you will view and enjoy them and let the producers know you've done so.